Pharmacy teaching at the University of Bradford dates back to 1927, and we became the School of Pharmacy and Medical Sciences in April 2017. 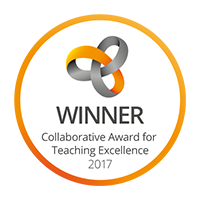 We have an outstanding reputation in research and education, including educational innovation. 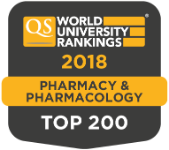 We are in the world top 150 departments of Pharmacy & Phamacology in the QS World University Rankings (2017). All our academic and research staff are involved in one of our five research and knowledge transfer groups. We enjoy excellent facilities to carry out world-leading research supporting the university's mission to deliver Advanced Healthcare, Innovative Engineering and Sustanable Societies. Candidates interested in PhD research can apply for one of our research projects. We deliver a number of undergraduate and postgraduate programmes with strong emphasis on lifelong learning. Our courses are taught and supported by dedicated staff who are experts in their fields. Our undergraduate MPharm degree course is the first one in the country to embed two separate six-month periods of pre-registration experience. This course commenced in 1970 and remains innovative in pharmacy education. Find out more about our 5-year MPharm (Hons) (including pre-registration training). Find out more about our 4-year MPharm (Hons). Our Clinical Sciences BSc - either a three-year programme or a four-year programme including a foundation year - allows students a unique and exciting opportunity to study science and health studies, which can lead to a career in medicine, healthcare sciences, and other healthcare professions. Find out more about our Clinical Sciences BSc. We run a range of MSc courses in Pharmaceutical Technology, Cancer Pharmacology, Cancer Drug Discovery, and Drug Toxicology and Safety Pharmacology. We also offer, in conjunction with other faculties at the University, a Master's of Public Health (Pharmaceutical Services). We run a number of clinical postgraduate programmes. The Physicians Associate Studies Postgraduate Diploma/MSc allows students to train as Physicians Associates to carry out diagnosis and management of patients under the supervision of doctors. We also run programmes for practising pharmacists, offering Postgraduate Diploma/MSc in Advanced Pharmacy Practice (Primary Care), Clinical Pharmacy (Community), Clinical Pharmacy (Primary Care), and Clinical Pharmacy (Secondary Care). And we offer a professional doctorate in Pharmacy (DPharm). Meet some of the teachers on the courses.